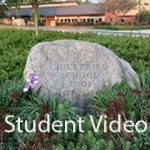 Sr. Romer, our Spanish teacher, asked the reporters to create a video showing a sampling of fourth graders explaining, in Spanish, their identities. We selected four students from Mrs. Atkinson’s, Mrs. Grady’s, and Mrs. Kraeutler’s classes. We hope you enjoy viewing this video. 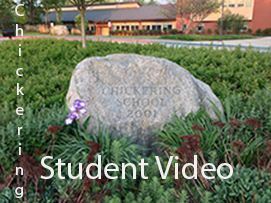 When the students at Chickering School are in the third grade, they may choose band or reporters for part of their fourth grade curriculum. If students decide to join band they have a choice between these instruments: trumpet, saxophone, flute, trombone, percussion, clarinet and french horn. 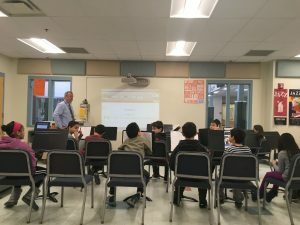 Band meets once a week for practice and their homework is to use Smart Music, (an App that helps you practice). 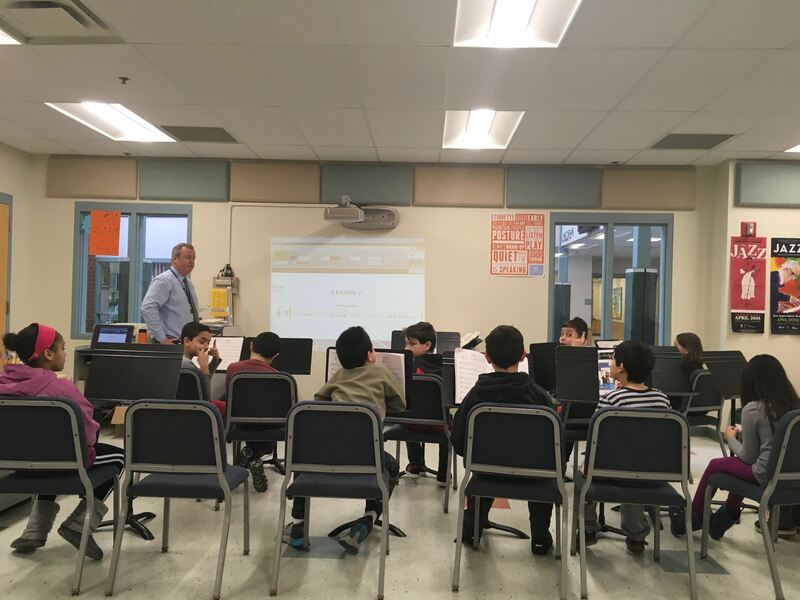 Mr. Galligan is able to hear, through the App, the musician’s practice. In May, Chickering School has Arts Night and the fourth grade band performs, for the first time, as part of the concert. Some students may choose reporters, while their classmates are attending band. 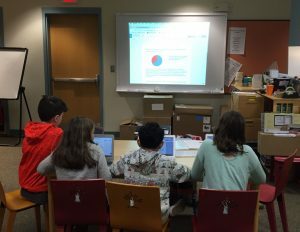 The reporters meet in the library once a week with Mrs. Chase. They collaborate with each other about choosing a topic and reporting about what is happening in the school. The students decide what media tool to use for their projects such as: interviews, surveys, photos and/or videos. 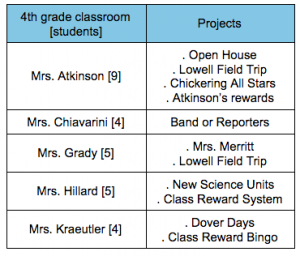 Homework depends upon what projects they are working on at the time. We do a lot of writing regardless of the media tools we use. We publish to the world via our Blog called Chickering Reports. We decided to survey the fourth grade to see why people chose band or reporters. We brainstormed questions for the survey. And used Google forms to create our survey. 73 of 87 – 4th grade students completed the survey which is 84% of the grade. First we inquired what they chose. 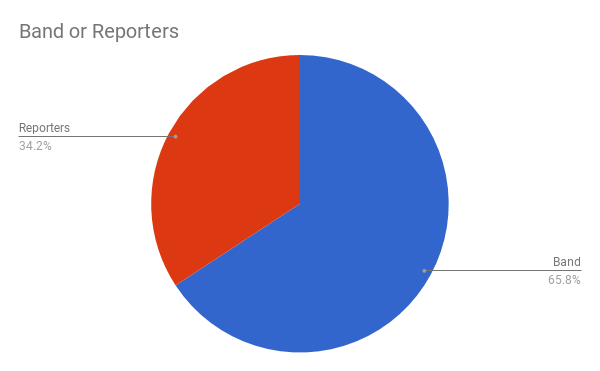 As you can see 61% of the students who responded chose band and 34% chose reporters. If they chose band, we asked why. Of the 47 students, 12 did not answer this question; 24 replied that they like music and learning how to play an instrument; 5 said they were interested in playing the flute; and 1 each replied looking forward to playing the trumpet, loves percussion, heard it was fun, wants to learn a new instrument, liked listening to other students play their instruments, and didn’t want to do reporters. 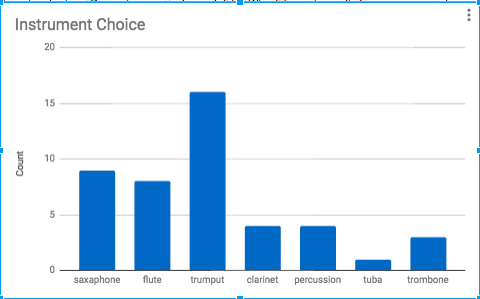 We were curious to know which instrument the fourth grade band students chose. Why did band students choose these instruments, we asked. Of the 47 band students who answered the survey, 1 did not answer, 30 said they liked the sound their instrument made, 2 thought it was cool, 3 said their brother could help them, 2 liked percussion, 3 wanted to try something new, 2 said they liked the flute, 1 said trombone because it had no keys, 1 said they liked the trumpet, and one didn’t know what to do so they chose percussion. Next we decided to ask the band students if they have homework or not. We gave them three choices: yes, no, or sometimes. Out of the 47 band students, 30 said yes, 16 said sometimes, and 1 said no. 34% chose reporters. We were curious to know why they chose reporters over band. There were a lot of unique and unusual answers. 5 said reporters because it is fun, 4 said they didn’t want play an instrument or play a new one, 4 said their interested in technology and interviewing, 3 said they liked to do projects, 2 said they liked typing, 1 said they liked to make videos, 1 because they didn’t want to carry an instrument, 1 – their friends do it, 1 liked reading and writing, 1 wanted to see what it was like, 1 didn’t know, and one didn’t answer. We also asked the 27 reporter students if they had homework or not. 23 students answered sometimes, 2 said yes, and the last two said no. 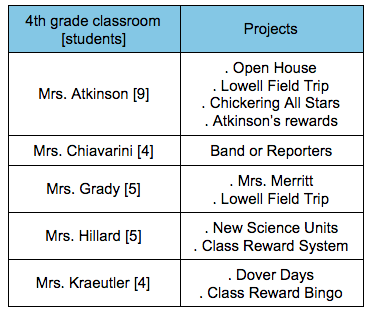 We were curious about what projects each 4th grade reporter groups chose. We were interested to see why students participated in either band or reporters. Surprisingly, half of us thought there would be more reporters than band. We were disappointed that we didn’t hear back from 16% of the students. Clearly, the data shows that the students like having a choice between band (66%) and reporters (34%).